You make Sundays a special place to visit and have coffee and listen to your music. Rose & Mavis, Fremantle, WA. 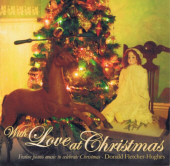 Your Christmas CDs have sold fantastically well. All the very best for 2010, from us all at the new Norcia Monastery Visitor Centre. 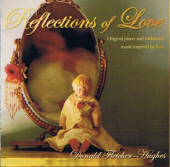 I am writing to say how much I enjoy listening to your piano music. Deb & Peter, Wembley WA. 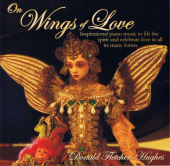 As I write this, I am listening to your CD “Wings of Love”. The music is so beautiful. It includes not just some of my favourite contemporary music but also music I listened to when I was a teenager. Thank you so much for your delightful, beautiful, and inspiring music. Diana, Northam, WA. We are very impressed with the beautiful compositions you have put together on the CDs. It’s very soothing and relaxing to listen to. Kevin & Margaret, Yallingup, WA. Thank you so much for the magnificent CD. I am listening to it again at this moment. It really is beautiful and we will definitely play it Christmas Day so all the family can hear it. Val & Rob, Claremont, WA. Your CD was just beautiful. You have a wonderful talent and thank you for your kindness in sharing it. Bev & Graham, Dwellingup, WA. 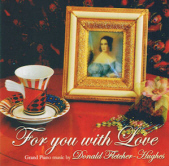 I must congratulate you Donald on your perfect and delightful piano playing – also your great repertoire. I could listen to your playing all day. Dacia, Caringbah 2229. We have our i-pods set up on speakers and provide constant (musical) company for me throughout the day when I’m working in the kitchen and we drift off to sleep with the relaxing music playing softly. I do believe it has helped me to relax and concentrate on being calmer and provides a backdrop to think of things other than pain and problems. With deepest gratitude. Cheryl, Darlington , WA. You are very talented, Don. God has given you a wide range of gifts, and you use them well. Joan, Floreat, WA. Thank you for sending your latest CD. I turned it on, sat down with a coffee and just drowned in the music –transported! I particularly liked 2, 9 and 18 (Wings). – Memories I guess. Bev, Dwellingup, WA. Listened to your haunting CD this afternoon – so delightful. Your choices of melodies must surely have taken an age to choose, and the practice to such a level of competence and feeling. My favourites are Hallelujah, The Prayer, Send In The Cclowns and You Raise Me Up is just the most moving melody. Jill, Beaumaris, Vic. I will have to increase my insurance because of the increased value of my luggage – ie your delightful CD. Have fallen in love with your beautiful music. Joan, Hobart, Tasmania. Thank you for sending your latest CD. I know I will get many hours of enjoyment from it, as I have of the other CDs. The attic doll is amazing and I’m taking it to show my textile/embroidery teacher. Thank you for enriching my life. Barbara, Somerville, Vic. 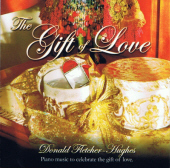 I’m having a very rare quiet and peaceful moment – listening to “The Gift of Love”. And now I have a problem, because I really don’t know which of your albums I like best. They are both so beautiful, and your music has moved me to tears. What a pleasure and a privilege to hear such a talented person. Thank you so much for sharing your beautiful music with us. Florence, Ferndale, WA. I love listening to your beautiful CD. It is both inspiring and relaxing. Jenny, WA. I find your music touches my soul and gives me peace. Joan O, Richmond NSW.